I bought this statuette in New York City a number of years ago. Look closely and you'll see that the lady's hand that contains a small vase is aligned with the mouth of the fearsome dragon below. You fill up the statuette with water (turning it upside down; there's a well inside) then turn it right side up and water will drip from the vase into the dragon's mouth for maybe 10 minutes. See the dragon's mouth close up below. In China, Kwan Yin is the Goddess of Mercy and Compassion and is also the Protectress of Children. 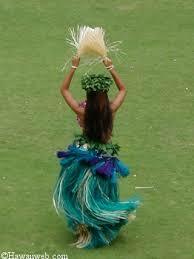 Some also look to her, as a goddess of fertility. In both Taoism and Buddhism Kwan Yin is the goddess of compassion, she is the Japanese Bodhisattva Kannon or Kanzeon, and is identified with the Indian Bodhisattva Avalokitesvara, including all of the scriptures which apply to him. Kuan (Shih) Yin means "the one who hears the cries of the world and comes." She may also be known as Kuan Yin, Quan Shi Yin, and Kwan Shih Yen, depending on where she is found. Kwan Yin is also known as patron bodhisattva of P'u-t'o Shan, mistress of the Southern Sea and patroness of fishermen. As such, she is shown crossing the sea seated or standing on a lotus or with her feet on the head of a dragon. She is the protectress of women, sailors, merchants, craftsmen, and those under criminal prosecution, and is often called upon by those desiring children. 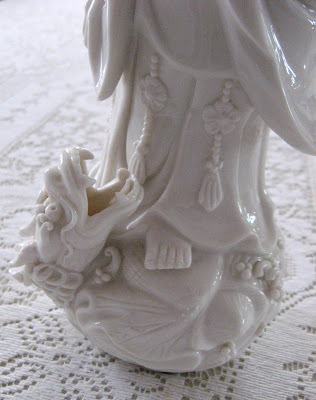 Want a feel a little Kwan Yin, in your life? Find a little space or corner in your home or room, and clear it of all items that do not feed your soul, when you look upon them. As has been said "less is more". It is said to have a Kwan Yin picture or figurine in your house brings good luck and protection to the household and family. When placed in a room, Kwan Yin cleanses the home of negative influences, including family arguments, martial problems and illness. 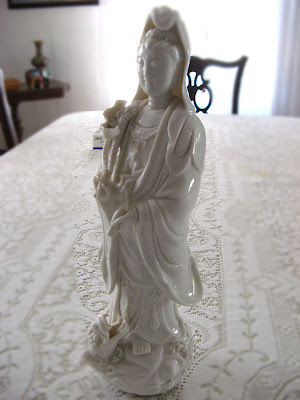 I feel a great affinity with Quan Yin when practising Reiki, and have two statues depicting her in my treatment room. How interesting ! I wished I could participate too, but here in England I haven't found a single dragon and my friends don't like chinese restaurants. There are all kind of monsters and tales but no dragon, lol ! wow, i fell in love with this statuette the moment i saw the photo! That is such an interesting statue. It would be cool to see it in action!! This is a beautiful figurine! So appropriate for Olympic week! Where does the water go when the dragon drinks it? I have a lovely Kwan Yin card in the shop that I need to send to someone... perhaps you? WOW! Now I'M impressed! Does this mean you've NEVER had another family argument again since you've HAD her? If that really works, I'm gettin' one! LOL! It IS very pretty - and I would like to watch it drip! :) Thank you SO much for playing! She is wonderful and this was an interesting post. Great choice for the second day of the dragon hunt. Fascinating. I think dragons are fundamentally cool.